We are just minutes away from downtown Corning’s Historic Market Street known as the Gaffer District, the Rockwell Museum and the Corning Museum of Glass. The Marsh Creek Cabin is our premier vacation rental and is located in the town of Caton, New York. It is part of the beautiful Finger Lakes region, 10 minutes south of Corning, New York. Marsh Creek Cabin has been given five star ratings through both TripAdvisor and AirbNb. 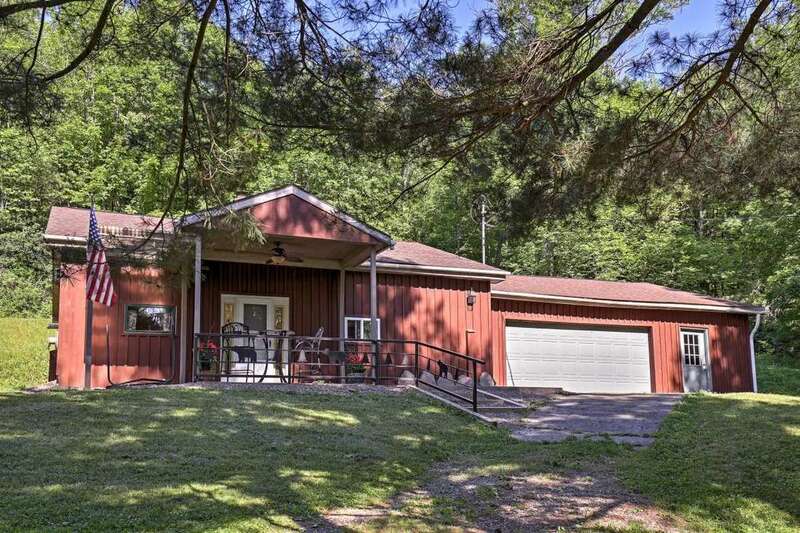 The cabin is fully furnished with a well equipped kitchen, full bath with laundry facilities, as well as many unique custom amenities. The cabin is situated high up off the road,, across from a large body of water that carries the sounds of Snow Geese, Canada Geese, a variety of ducks and multitudes of birds right up to the front porch. The large outdoor seating area is relaxing and invigorating to the senses. ​We also offer primitive campsites for guests that desire outdoor camping adventures. A licensed Camping Guide is available and willing to assist you. Campsites include a level, clean and private site, a small quantity of campfire wood and a custom built fire ring. Picnic tables are available, depending on site location. ​​Come for the local attractions or come for the relaxation alone! We are sure you will not be disappointed! We strive to make our vacation rental relaxing, yet with all the comfort and convenience of home. Your fully furnished and private cabin can accommodate up to 6 comfortably. There is a custom made outdoor grill and fire pit. There is ample space to park several vehicles, room to pitch a tent and there is plenty of privacy in all directions. Elmira Corning Regional airport, the Arnot Mall and several shopping plazas are less than 16 miles away and yet, when you are star gazing, catching fireflies and sitting around the campfire late at night, it feels as though you are a hundred miles away. Along with a large variety of shopping and eating establishments, and all the many recreational opportunities in the area, including biking, canoeing, kayaking, fishing, hiking, hunting, golfing and boating, you are sure to have a memorable vacation. Or you just may want to sit on the porch watching wildlife in the yard, listening to the sounds of the Marsh across the way. ..that’s relaxation at it’s best. 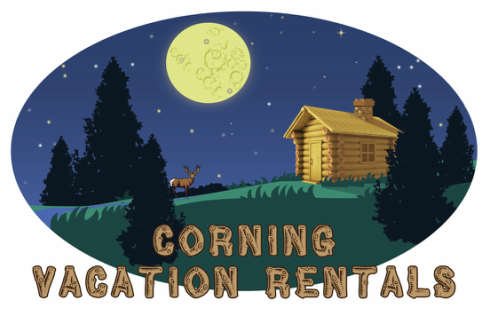 Follow us on Facebook at Corning Vacation Rentals, along with our expanded business page at Finger Lakes Adventure Center! Finger Lakes Adventure Center is also on Instagram.